Five of the six conference opponents forfeited their games against ATM last fall, which sparked a global debate about competition and safety in high-school football. Jerry Jensen made his Archbishop Murphy football schedule and checked it twice — every team intends to honor its 2017 game this fall. The fourth-year coach found it necessary to continue conversations with his Cascade Conference opponents this spring after five forfeited their matchups last year, drawing global attention. Reasoning for the forfeitures was due to safety concerns from parents and players in lining up against a team with NFL-sized talent. ATM opens its season Aug. 31 with a nonleague game against Garfield. The Wildcats’ first conference opponent is King’s School, which did not forfeit its game last season, losing 38-0. Cedar Park Christian did forfeit. Athletic director Todd Lundberg said the decision was revisited after the 4-6 season concluded. CPC will have a different look this season. It announced in January the hiring of Butch Goncharoff, who led Bellevue to 11 Class 3A state titles in 16 years as coach. He was removed from his job in 2016 following a Seattle Times report that led to an investigation by the WIAA that found wide-ranging violations of state rules. ATM will also be a drastically different team. The Wildcats went on to win the Class 2A state football championship. Six seniors from the roster will continue their playing careers in college, one in baseball. 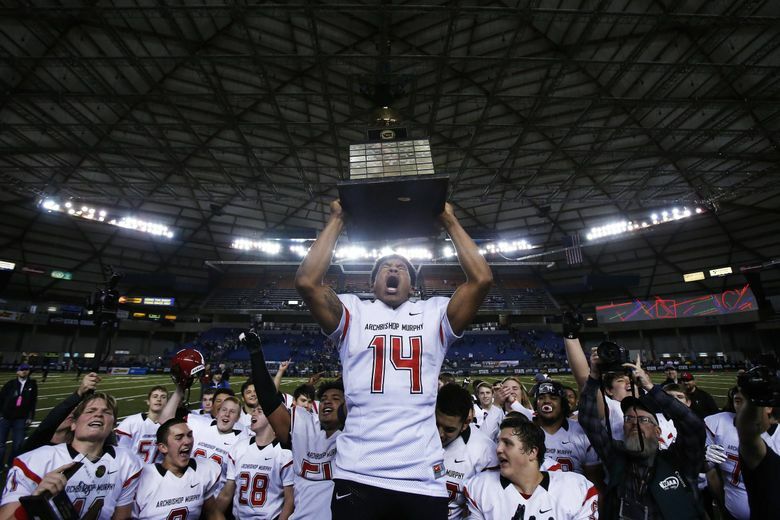 Jensen, who’s also the athletic director, hoped an appeal to the WIAA would result in assistance in joining a tougher league for football or even playing an independent schedule to counter the competitive imbalance within the Cascade Conference. The WIAA doesn’t control the alignment of leagues, however, and conversations about fair play are ongoing.